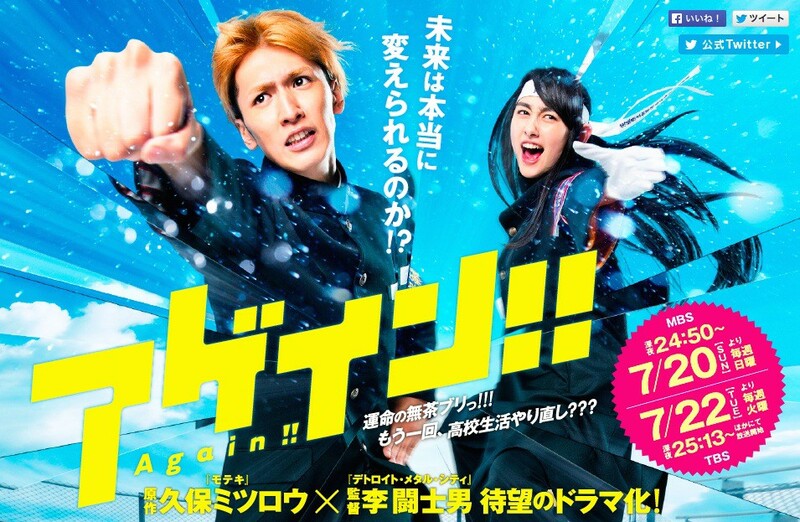 Cast: Fujii Ryusei, Hayami Akari, Kojima Fujiko, Kusumi Koharu and Okano Maya. 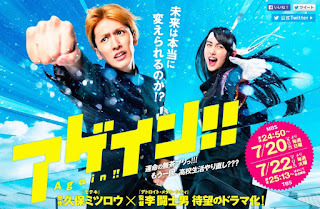 This is one of those Japanese dramas that are lighthearted and funny, yet can bring forth a good message at the end. Even though the drama has many, maybe too many, silly points, the drama as a general is fun to watch is interesting. Though I must say I was at one point bored and annoyed, but that is a personal preference with these dramas, where I prefer the supporting actress with the lead. I know a lot of time I have it the opposite way, but the lead actress in this drama was unlikeable to say the least. As a fan of time travel I will say this: the idea was quite intriguing. I didn’t understand how it happened but when it did I didn’t mind it. I was quite surprised by the idea of the means. Though if it had continued for more than 10 episodes I would have started questioning how and why, so thankfully it didn’t. The acting was very b-rated and over the top, but still watchable. So all in all, a fun and interesting drama, though not one of the great ones out there.